The June issue of Canadian packaging Magazine reports a story of how Unilever added their Hellman’s dressing product line to their Rexdale, Ontario manufacturing plant without expanding the building. This was a challenging project for Unilever because they had functioning packaging lines for the existing Becel Margarine products which had to be compressed in order to make room for three new Hellman’s production lines. Ryson Spirals were part of the solution because of their space-saving and high throughput benefits. Two Ryson Vertical Case Spiral Conveyors with 16″ wide slats handle cases from the production at floor level up 10′ to the palletizers above at a rate 90 FPM. For more information about Ryson Spiral Conveyors, visit www.ryson.com. Read the full story in Canadian Packaging. Freezer Application: Ryson Spirals are often used to convey frozen product from the top of a spiral freezer to the floor level. On this project the customer needed to lower frozen single–serve dinners from a freezer out feed elevation of 18 feet down to the packaging level at floor level. Because of space limitations, the product needed to enter the spiral perpendicular to the freezer out feed conveyor. This was accomplished by extending the in feed at the top and providing special designed stainless steel slides to facilitate transfers on and off the spiral conveyor. This spiral unit is an all stainless steel/washdown model with 20” wide slats and is installed at a Midwest co-packer. Our Integrator partner, Selectpack was responsible for this project and was able to save the customer valuable floor space and provide them with additional operating flexibility. For more information about the wide range of applications Ryson Spiral Conveyors can be used for in the food and beverage industry, watch the Ryson Application Video, or visit www.ryson.com. Ryson Spiral Conveyors offer practical layout flexibility. Configuration options of Ryson Spiral’s in and out-feed tangents can provide great layout flexibility. The Ryson Vertical Spiral Conveyor modular design allows the position and length of the in-feed tangent on up spirals and the out-feed tangent on down spirals to meet custom layout requirements. This provides great layout felxibility in tight spaces and accomodate conveyor line centerline offsets. Extending the tangents can also eliminate short conveyor sections between the spiral and other system components. The extended tangent is powered by the spiral drive, and saves in the cost of integration and controls. Ryson’s proprietary design allows the extension to operate in any direction from the spiral. This week Ryson is shipping a down spiral to a major beverage company with a curved extended out-feed which efficiently accommodates a centerline offset in a reconfigured packaging line. The integrator on this project is Foth Production Solutions. The position and length of the in-feed tangent on up spirals and out-feed tangent on down spirals can be customized to meet specific layout requirements. You can download a Ryson Size and Model Chart on www.ryson.com and you can specify any unique tangent requirements. New Ryson Spiral Newsletter “Up and Up” is Out! The latest edition of the Ryson Newsletter “Up and Up” is in circulation. The Ryson newsletter keeps you up to date on the latest spiral conveyor technology and exciting new installations we’ve been working on. If you are not on our mailing list you can view the current edition of the newsletter here. We also keep an archive of older newsletters which you can easily browse. Don’t forget you can catch up with the latest vertical spiral conveyor videos on Ryson’s own YouTube Channel and you can also follow us on Twitter and Facebook. If you are interested, please be sure to sign up on our mailing list, so you can receive our newsletter and occasional news blasts. 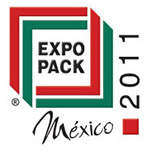 This year, PackEx the largest packaging show in Canada and ExpoPack, catering to Latin America will be running concurrently. Ryson will be attending BOTH. ExpoPack 2011 Mexico – EXPO PACK México offers direct access to the packaging and processing industries in Latin America attracting buyers from throughout the region. Ryson will be exhibiting a stainless steel mass flow spiral conveyor – Ryson will be in the PMMI section of the show. C&A, one of our integrators will also be running a Ryson Vertical Spiral Conveyor in their booth, 2914. This spiral is used as a case elevator. June 21 – 24, 2011 – Centro Banamex, Mexico City, Mexico. PackEX 2011 Toronto — a World-Class Educational and Networking Forum for the Packaging Industry. Ryson will be exhibiting a case spiral conveyor with a very small footprint at this show, in booth 1047. Contact us for a personal presentation. June 21 – 23, 2011 – Toronto Congress Centre. The bucket elevators combine vertical and horizontal transportation of bulk material in one integral unit. In addition to Vertical Spiral Conveyors, Ryson International, Inc. Manufactures Bucket Elevators and Bucket Conveyors. Bucket Elevators handle bulk materials in an enclosed bucket-chain conveyor system. The Bucket elevator efficiently combines vertical and horizontal transportation and can have multiple inlets and outlets. They are designed for gentle handling and quiet operation to facilitate transportation of measured quantities. The individual buckets overlap at the infeed and remain in an upward position until emptied to prevent spills. Their modular design and rugged construction make them suitable for a wide variety of applications and industries including food, agriculture, pharmaceutical, cosmetic, chemical, ceramic, glass, recycling, building and metallurgical. The modular design also makes them simple to install and modify. For more information on the Ryson Bucket Elevators you can read more stories in our blog, or visit the Ryson website at http://www.ryson.com/Bucket.htm. You can also download the bucket elevator brochure. If you have a specific application in mind, you can download our RFQ/Information form, or fill in your information online. One of Coca-Cola’s new bottling plants was featured on National Geographic Channel’s Ultimate Factories Series. A Ryson Spiral Conveyor was shown in the packaging process of both the bottle and can lines. Machines in this modern Coca-Cola bottling plant pump out almost 800 bottles per minute and cans are filled at an astonishing rate of up to 1,700 cans per minute in a process more complex than meets the eye. Maintenance and down time is costly to the company when it interrupts production. That is why top quality equipment like Ryson Spiral Conveyors are finding their way to the most modern and efficient plants in the world. Fridge packs are a perfect application for the Ryson Case Spiral, as shown in this brand new Coca-Cola bottling plant. You can view all segments of National Geographic – Ultimate Factories Coca Cola here. The Ryson Case Elevator on the bottling line is featured in Part 2 (4 minutes in). The spiral conveyor moving fridge packs are featured in part 3 (at 2 minutes). There are 8 Ryson Spirals installed in this modern bottling plant, moving cases, trays and fridge packs from packaging to palletizing areas. This plant is near Baton Rouge, LA and the systems integrator on the project is Sentry Equipment. This is an impressive new plant and Ryson International is proud to have vertical conveying solutions there and in many of the top branded packaging companies in the world. For more information about Ryson Spiral Conveyors, please visit Ryson’s Bottle Conveyor page or call Ryson direct at 757-898-1530.